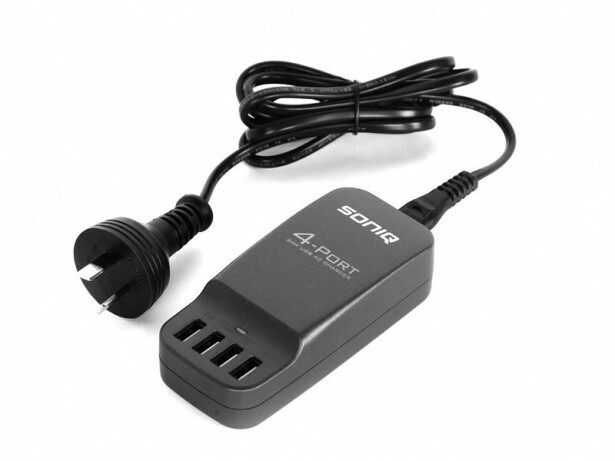 SONIQ 4 Port 6.8A USB Desktop Charger. The smallest desk type 4 port USB charger. AC input 100-240V. Charge 2 smartphones and 2 iPads simultaneously.